Peeled grapes harken back to the early days of French cuisine, where you could find them in duck sauce, on charcuterie platters and alongside carved cheeses. Although peeled grapes are commonly used as ice cubes in mixed drinks or as faux "eyeballs" at Halloween parties, the methods for peeling are the same: freezing or blanching. The main difference between blanching and freezing grapes to peel them is the texture of the flesh; blanched grapes retain a plump, moist sphere of flesh, whereas as frozen grapes can develop a mushy texture. 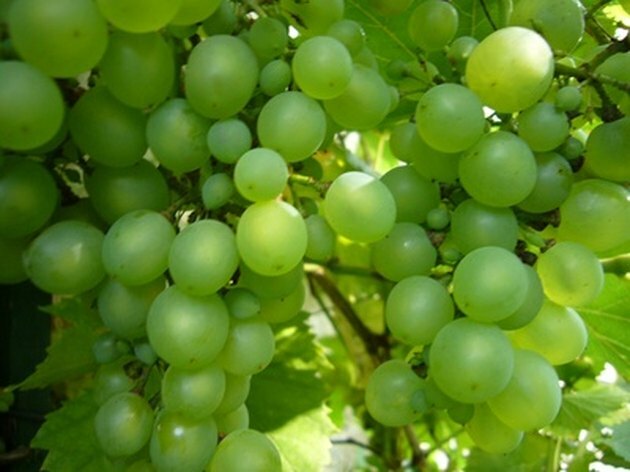 Simple table grapes, such as concord seedless, work best for peeling. Bring a wide pot of water to a boil and fill a wide mixing bowl with ice. Top the ice with water. Place the grapes in a mesh strainer and dunk them in the boiling water for 4 seconds. Lift the strainer from the water and set it in the ice water. Chill the grapes in the ice water for about 10 seconds and drain. Slit the skin and gently squeeze the flesh into a bowl. 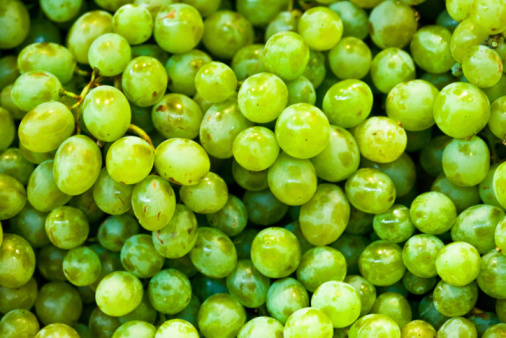 Store the grapes in a bowl of water in the refrigerator until ready to use.